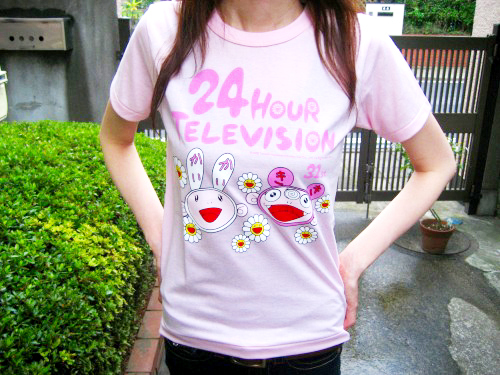 24 HOUR TELEVISION is a once-in-a-year summer event in Japan. This is a TV program featuring a lot of artists, a lot of events, and the funds are all for charity and the disabled. 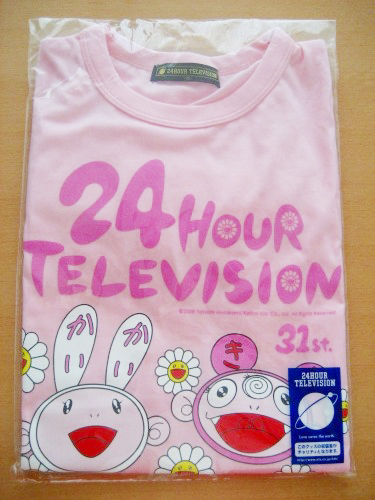 24 HOUR TELEVISION T-shirts are designed by different artists every year. T-shirts of 2008 are designed by Japanese artist Takashi Murakami who became well-known as the collaboration with Louis Vuitton and Kanye West.